Adding a platform to your aluminum bleachers gives you more versatility for videos, scorers, etc. Adding platforms to your aluminum bleachers increases their versatility and usability for special groups and organizations by designating an area specifically for them. In essence, adding a simple platform can enhance your sports bleachers and overall functionality. While adding a platform to your aluminum bleachers may take a minimal amount of regular bleacher seats away, the area can instead be used in a number of ways by a variety of groups, organizations and memberships that otherwise would have a difficult or uncomfortable time trying to sit in your regular bleacher configuration. Depending on the group and their required equipment and accessories, a professionally installed, custom platform in a designated area with great sightlines will enhance their role in the scheduled event and provide an overall better experience for all involved, including spectators. • School bands: Safely traversing aluminum bleachers with some of the bigger band instruments can be a challenge, so a custom platform added to your aluminum bleachers will help keep the band members as well as the surrounding spectators safe from trips and falls. Why force your school’s band to twist, wiggle and shift their way around spectators only to have an uncomfortable position in the bleachers with their instruments. During key moments of the game, the band needs to get into position and synchronize themselves to play their instruments. Additionally, they have to fumble around, disrupting the seated spectators to make their way out of the bleachers and onto the field for halftime activities. With a platform installed in the proper location of your aluminum bleachers, the entire band can have all the room they need to sit, stand, shift and perform without disrupting the seated spectators around them. With an additional egress point for the platform, they are able to safely and easily make their way to and from the platform whenever needed. • Official scorers: With platforms installed in your aluminum bleachers, there will always be a prime, unobstructed place for the official scorers to view the action. They can watch all the action from the perspective of a fan, yet see the game with the details, confidence, and judging of an unbiased spectator. • Game recording: Regardless of the outcome, what coach wouldn’t love to have a copy of the game tape to review with the staff and team? Teachable moments are much easier shown and more effective when there is real-time footage available for demonstrations. Aluminum bleacher platforms provide the perfect place for a recording crew to record the event with no obstructions. 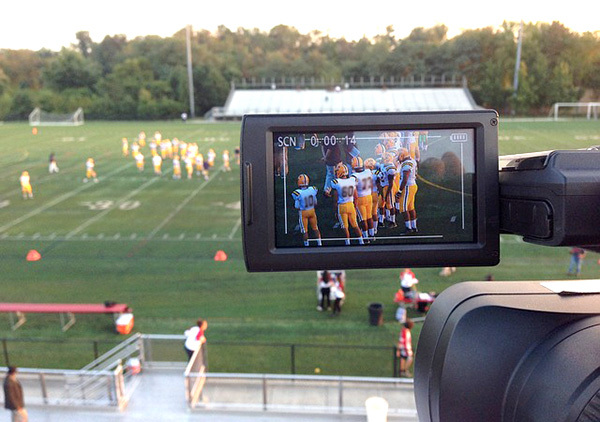 Providing this specific area for game or event recording allows the team and coaching staff to review, dissect, and discuss their performance on offense, defense, and the transition in between. Because hey, not everyone will remember or believe you about that perfect football season now will they? • Public TV: Having a quality place to set up and livestream events. Having a custom aluminum platform installed within your bleacher configuration provides groups, teams, and organizations a place to livestream events occurring on your venue to those that are interested but not able to attend. While sports can be streamed to the local town, neighborhood, or school district, wouldn’t it be great to be able to livestream local concerts and theatrical performances? Could your venue be used as an area hub for streaming important meetings, talks given by special guests, or teleconferences within schools, districts, or faculty? With a platform installed in your aluminum bleachers, local or regional media will always have a prime location to set up their equipment. 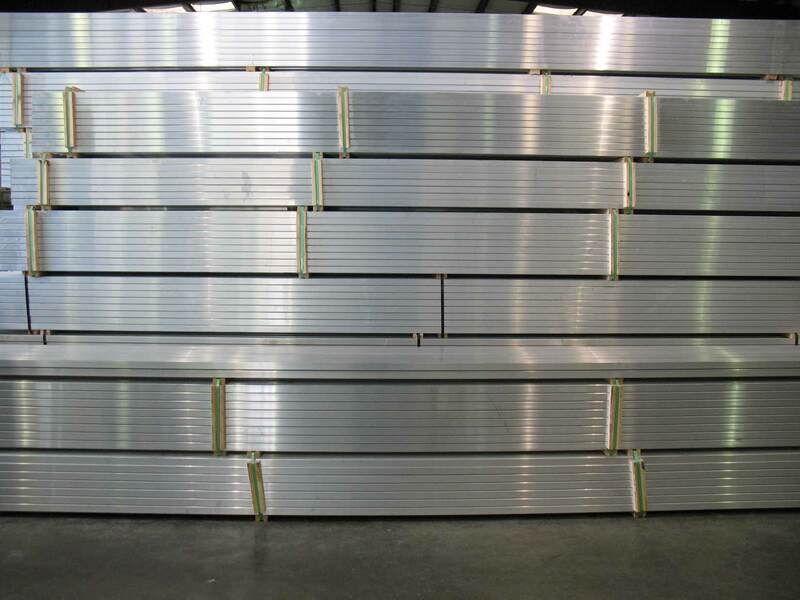 • Special event recording/archiving: Aluminum bleacher platforms can be used for recording or archiving important events. Are teachers or school personnel getting recognized and rewarded for their amazing work or landmark years of service? Are one or more of your students being recognized and awarded for something they’ve done, either on the educational level or on a personal level? Is your school a recipient of a special honor or award? Record and keep the ceremony for future review by setting up the recording equipment on your installed aluminum bleacher platform, knowing that you’ll get the best available view while archiving the special occasion. • Press area: Aluminum bleacher platforms are the perfect place to set up your own “press row” if you don’t have room or budget for a dedicated press box. Every person granted a seat in this modified press area gets an optimum space to cover the event with the same great sightlines. • VIP/Recognition seating: If you want to recognize certain individuals or groups, a custom platform built into your aluminum bleachers is the perfect choice for VIP seating. The person or group that is being honored will feel like they are back in the spotlight with a special, custom area set up for them to be the focal point for their special evening. Alumni groups or past VIP alumni will enjoy being seated in a place of honor for their special event. • In-game entertainment: Whether it’s a school band, cheer squad, an intermission DJ or local radio station broadcasting from your event, or just a crazy mascot doing what crazy mascots do, all attention will be on your aluminum bleacher platform during breaks in the play or intermission during the event. All the world may be a stage, and it’s nice to know you have one available when needed. Aluminum bleacher platforms are part of a dramatic, custom configuration that provides many unique uses to your aluminum bleacher layout. Being a custom bleacher configuration comes with additional upfront costs, but these costs can, at least partially, be offset with passive income from the platform itself. Let’s face it, Sports Bleachers are popular. For most towns, this is the place where more members of the community gather than anywhere else. On a Friday Night, half the town might be sitting in those bleachers. Consider monetizing the platform and bleachers, raising money through ads and sponsorships in return for local companies being able to attach their name and logo to the platform. Their information Banners can be attached and hung with pertinent company information that will be seen over and over again at every event. You can offer monthly subscriptions or even season-long deals to all local organizations and businesses as a way for them to advertise and help their community. And there’s always an option to raise money by giving the high bidder annual naming rights and sponsorship for your platform. While it does take extra work to add a platform to your aluminum bleachers, athletic directors might find the space gives them more options and benefits as far as video, bands, scoring or other activities.